The concept will be revealed at the 2019 Tokyo Auto Salon. The reborn Toyota Supra‘s worldwide debut is planned for mid-January at the 2019 North American International Auto Show in Detroit. However, with hardly a month left to the Supra debut, the company also recently released a teaser image of a Supra-based Super GT concept. The image in question depicts GR Supra Super GT concept with an enormous rear wing, a longer and lower front, and a more squared-off back end. All this reshaping is in line with the heavily modified exterior of the Super GT cars. The racecar is designed especially for the Super GT Japanese circuit racing series. The concept will be revealed at the 2019 Tokyo Auto Salon only days before the actual production model debuts. In the 2019 Super GT series, the GR Supra Super GT is expected to replace the current Lexus LC 500 based racecar. 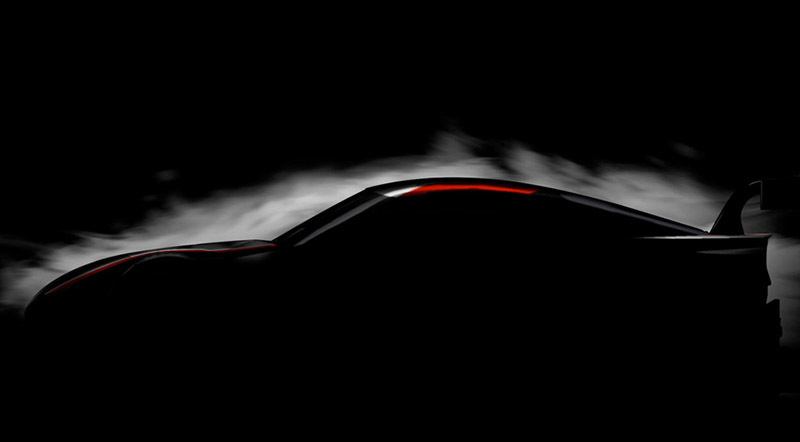 The Supra based racecar will compete against racecar variants of the Acura NSX and the Nissan GT-R.
Toyota gives no details at all about the GR Supra Super GT racecar other than the teaser image and the announcement about its debut. However, we believe the concept will be developed according to the Super GT’s premiere GT500 class regulations, which means the similarities between the Supra and its racecar variant will be very minimum. Racecars in the Super GT G500 class are equipped with carbon fiber monocoque structures with steel roll cages and feature 2.0-liter turbocharged inline-4 engines with 6-speed sequential transmissions. The minimum weight for these cars remains under 2,250 pounds. Nonetheless, these are just assumptions, and to find out the actual details you will have to wait until the concept is unveiled at Tokyo Auto Salon (11th January to 13th January).